Even though this was my first visit to Sen Nin, it definitely won me over. This was an evening of whole entertainment. 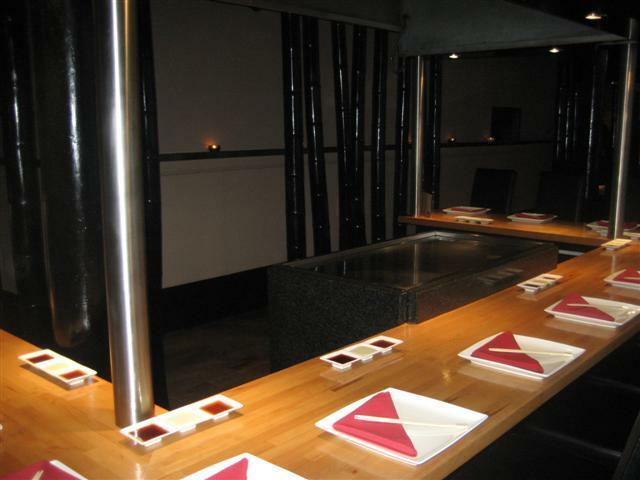 We were lucky to be seated around one of the areas where the chef and the hot plate were. The food was fresh and cooked right in front of us. Full marks goes to the chef who made the dining experience very unique. He was so talented in his cooking skills and also in entertaining us. The chef, apart from cooking the food on the hot plate next to the table, was able to accurately throw pieces of omelette into the diner’s mouths and also throw eggs up into the air and catch them in the top of his hat. 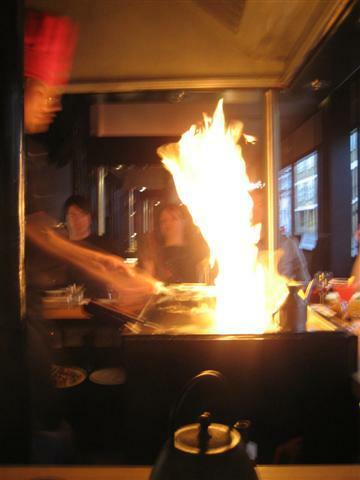 The chef at the start of cooking, dimmed the lights down, as he started off the hot plate with a huge flame. All very impressive. The chef was a jolly chap who made conversation with us while we were having our meal, but we also had time to talk amongst ourselves. The food was delicious, filling and very moreish. I went for the Teppanyaki vegetarian set meal. This was a great combination of Japanese miso soup, vegetarian sushi, grilled vegetables and Sen Nin grilled rice. I chose the inoki mushroom dish as my main for the set meal. The miso soup had good amounts of tofu in it and it was a good start to the meal. The mushroom dish looked like a plate of thin noodles. The sauce that the mushrooms had been cooked in gave the dish a lovely sweet taste. 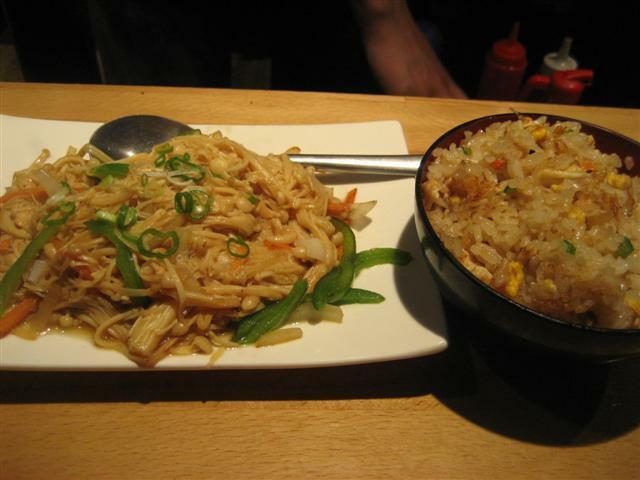 A perfect combination to go with the grilled rice and vegetables. 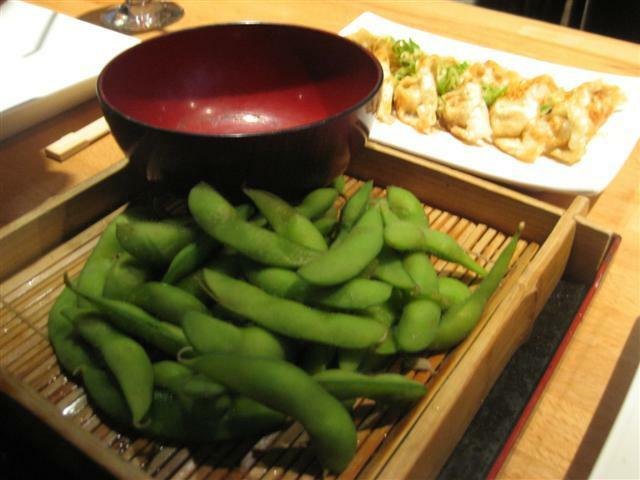 I didn’t want to have the sushi, so asked the waiter if I could have edamame beans instead. He was fine with this suggestion. Sen Nin have a range of drinks, from teas, cocktails and wines. The non alcoholic cocktail, Sen Nin cooler, was a good choice. 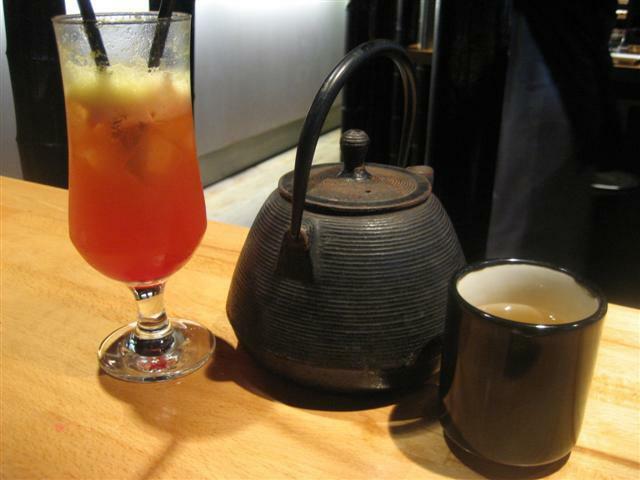 I also had to have some tea and went for the classic Jasmine tea. This was served in a heavy metal teapot. To go with the drinks, we had a couple of starters. I am a big fan of dumplings, so we had the Tori Gyoza chicken dumplings. These had a great flavour; the only thing was that they were a little spicy as they had some spice sprinkled on them. My brother loves his calamari, so his starter had to be the Calamari Tempura. The tempura batter was crispy and the calamari had been cooked to perfection. 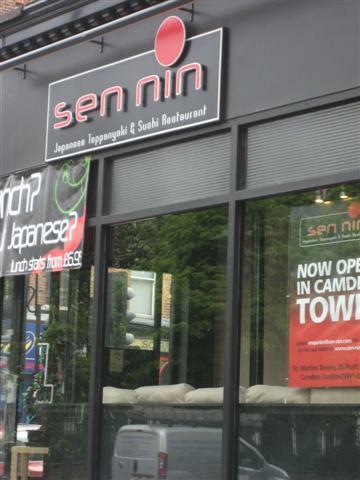 The staff at Sen Nin were very friendly and the service was great. There was nothing to fault with this Japanese restaurant. Everything at Sen Nin was perfect: a clean, sophisticated restaurant, fantastic food, great chef and wonderful staff. All in all, a very unique dining experience and a place that I would highly recommend. On a practical note, it is always worthwhile to make a reservation if you want to be seated by the cooking area.